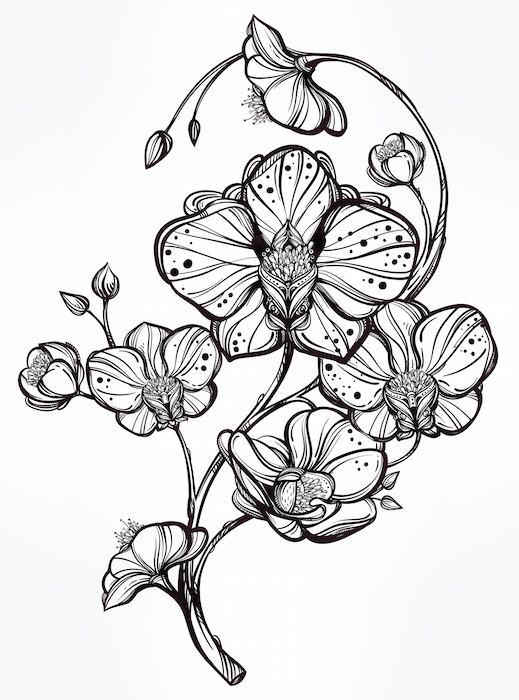 There’s just something about an orchid tattoo that creates a wild but elegant style. A beautiful duality contained in a single symbol, expressing the potential for gentle loveliness and crazy adventure. 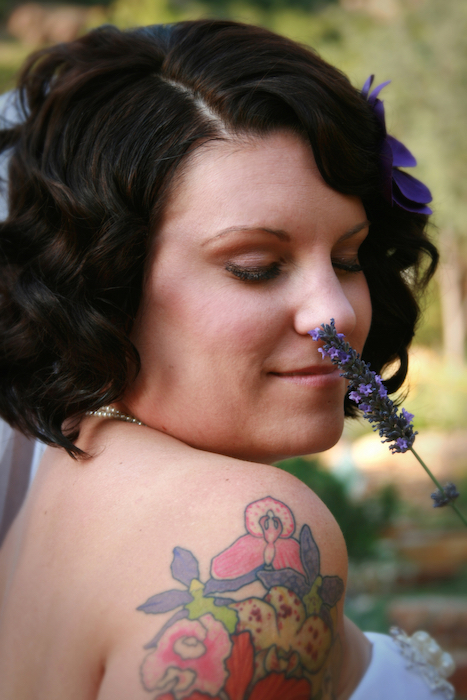 These reasons, and many more, are why the orchid flower is such a common tattoo for girls. 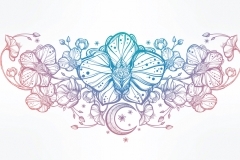 An orchid flower tattoo usually displays a stem of blooming orchids, colored brightly and arranged elegantly. 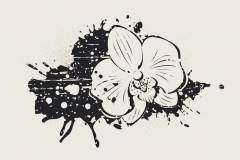 You’ll usually see orchid flowers tattooed on the shoulder, hip, back or leg, but wherever you see it, you can bet that there’s meaning hiding within the ink. 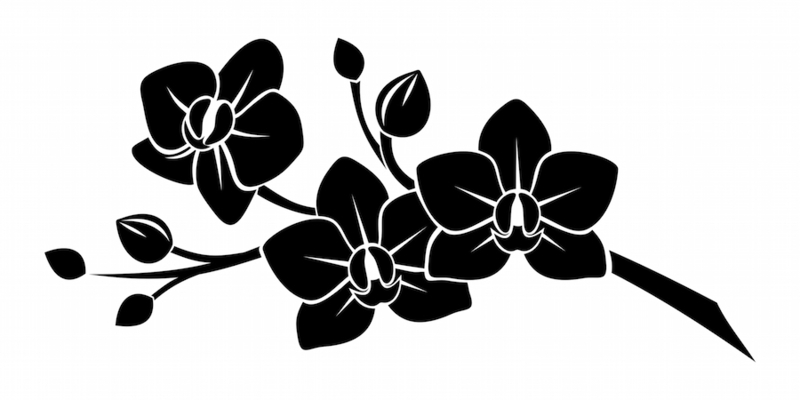 Sometimes, orchids are nestled within a larger tattoo to add even more meaning to a work of art. 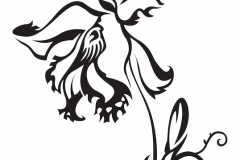 What Does the Orchid Tattoo Mean? Most flowers shelter their reproductive organs, but the reproductive organs of an orchid are on display and they are a large part of the flower’s beauty, hence the meanings of pleasure and sexuality. 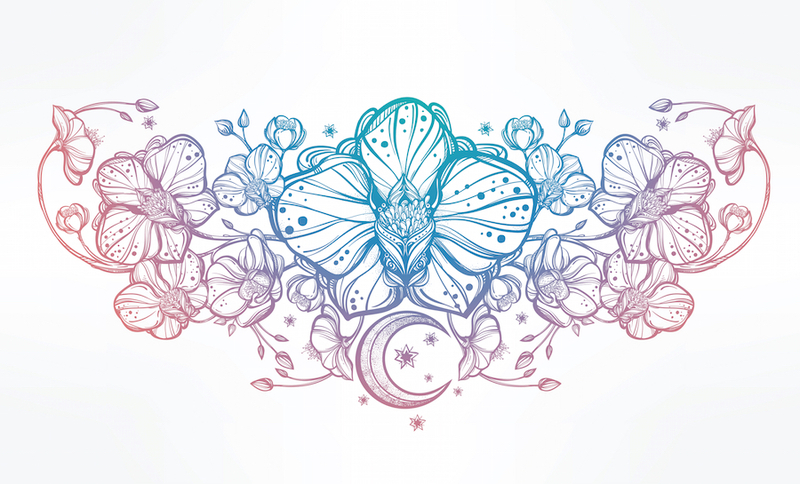 Whether an orchid is included in a floral pattern or it’s showcased with the ever-popular watercolor orchid tattoo style, there’s also something about it that says self-love and happiness. White orchids symbolize beauty, elegance and innocence. Blue orchids symbolize rarity, meditation, zen and spirituality. Pink orchids symbolize happiness, joy and innocence. Yellow orchids symbolize new beginnings and friendship. Purple orchids symbolize respect, admiration, grace and royalty. In Japanese culture, orchids are a symbol of courage for warriors. In Aztec culture, orchids were believed to increase power and strength. 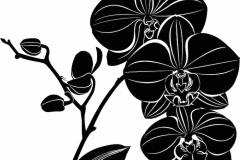 In Chinese culture, orchids symbolize fertility, thoughtfulness and refinement. In Philippine cultures, orchids are believed to be forest guardians and treasured by fairies. In Christian theology, orchids symbolize the blood of Christ. 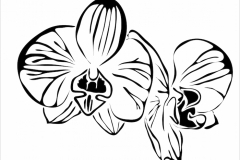 Orchid tattoos look best on the shoulder, back and abdomen, where the art will not appear cramped and crowded. There’s no sense in putting a wild, free flower into a restrictive space that will not let it be what it is meant to be. 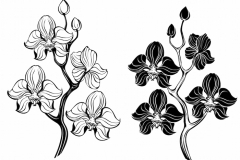 An exception to this rule is, if you are placing an orchid in a sleeve design or among older tattoos, the cramped setting can symbolize the wild, elegant spirit showing through regardless of circumstance. 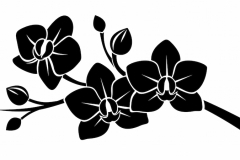 An orchid tattoo can mean many things to its wearer, but the message they typically convey is confidence, beauty, elegance, sensuality and strength. 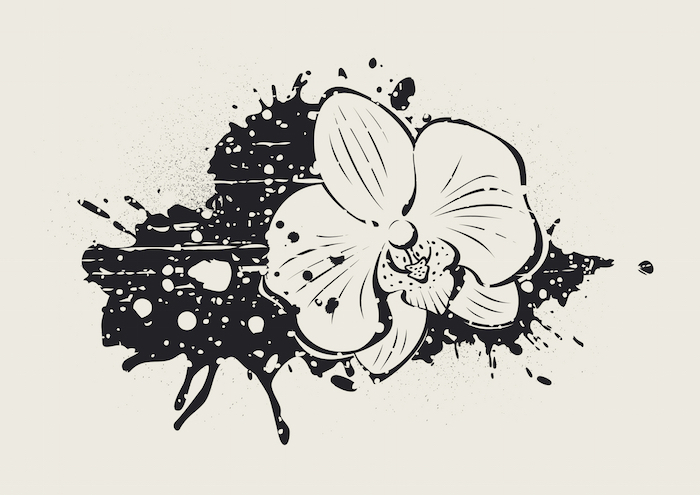 An orchid is a beautiful flower that flourishes where other plants cannot in the wild, but in captivity, they are incredibly difficult to grow — as such, orchids tattoos also symbolize free-spirited personalities. 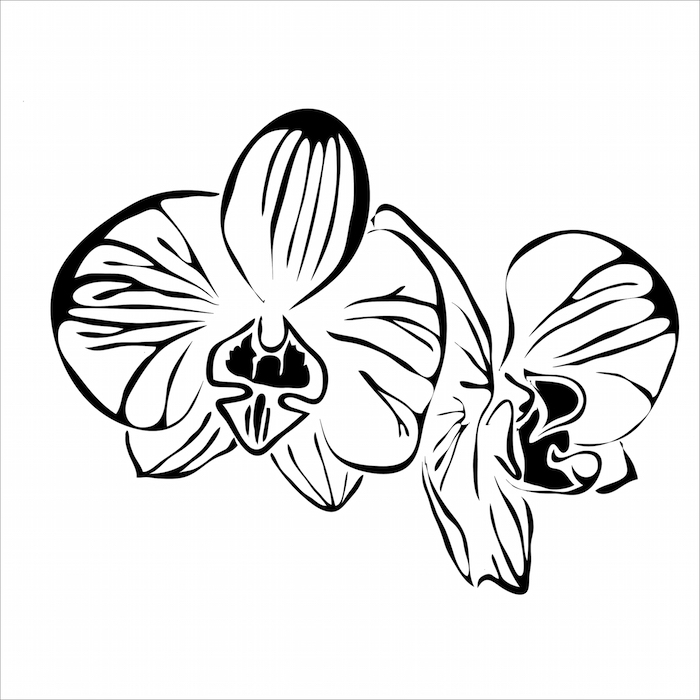 When men get orchid tattoos, they often symbolize power and nobility. 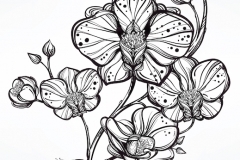 If you’re still considering an orchid flower tattoo after reading this page, you’re probably a free spirit who wants to follow your own dreams. You’re a person who believes that those who are not following their dreams are not truly living. 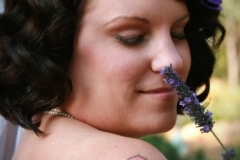 You may want to draw attention to your natural beauty with your orchid tattoo, or you might be trying to reclaim your sense of self after a traumatic event. 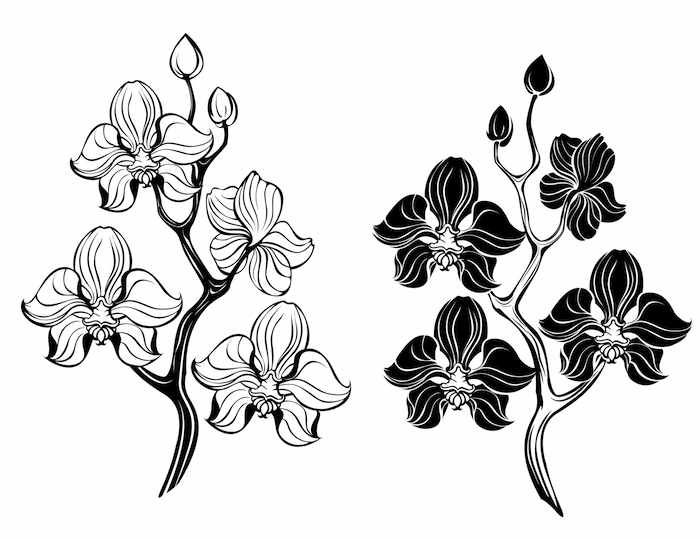 Whatever the case, you are likely to have a beautiful and strong personality if you choose to wear an orchid tattoo. 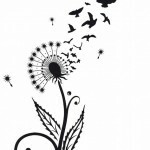 Reclaiming your freedom after a bad relationship. Making a vow of self love and confidence. Entering a new stage in your professional life. Beginning a new spiritual or religious path. 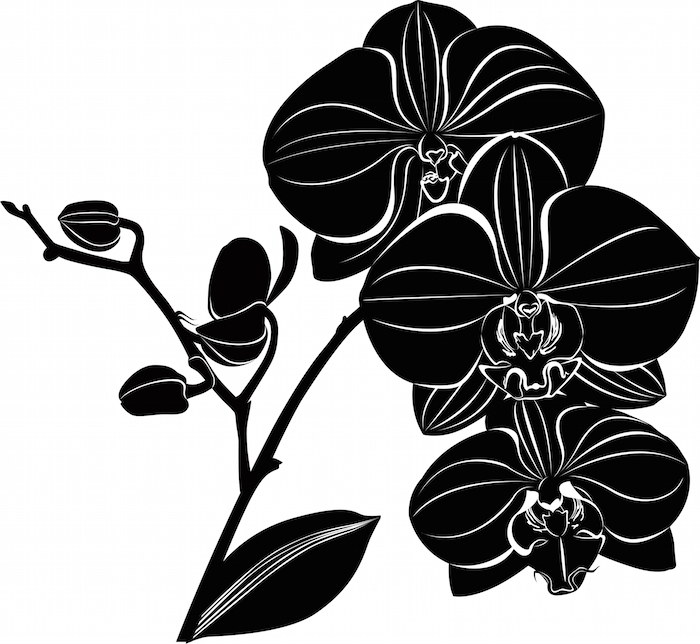 Before getting an orchid tattoo, give a nod to the blue orchid and meditate on whether it is the right choice for you. Once you’re sure, get excited, make your new tattoo a big deal and enjoy the process from start to finish. 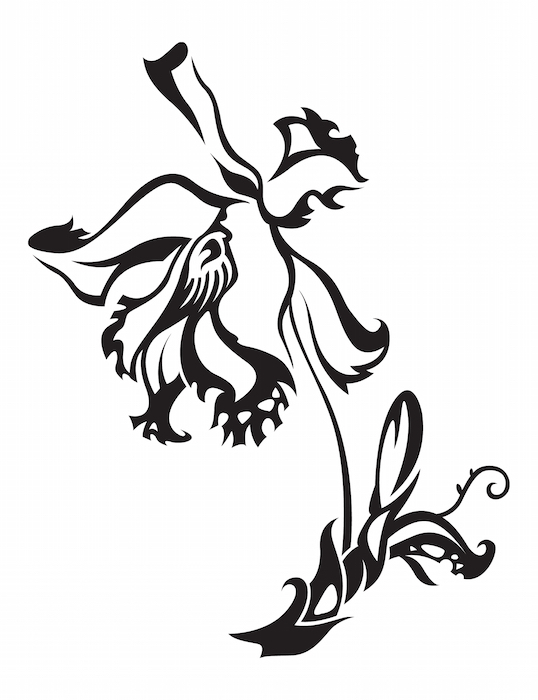 You might also want to write down its meaning as a keepsake so that you never forget why you wear your orchid tattoo.